NASA and the Rabbit....It sounds like a great book title, doesn't it?? And it's true - NASA is not oftern associated with rabbit products, but the excellent Scratch n Newton Water Bottle Snugbenefits from NASA technology to help keep water cooler in the summer and protects from freezing in the winter. The Snug includes a thermal protector layer to help regulate temperature. It is easy to fit and secure with two study Velcro straps, and is designed to fit any bottles with a circumfrence ranging from 15 to 25cm. 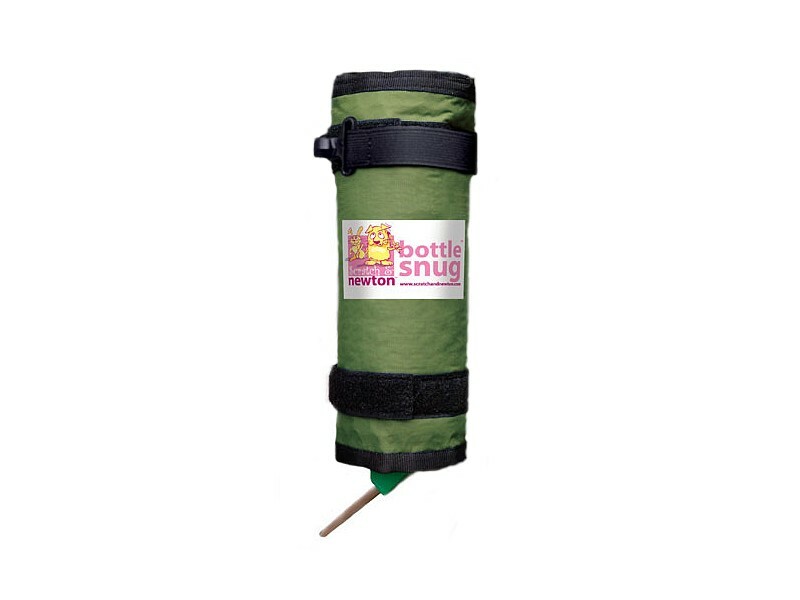 These Snugs are durable and made to last; not only will they fit a wide range of different makes of bottle, they will be useful in both Summer and Winter - for many years to come.